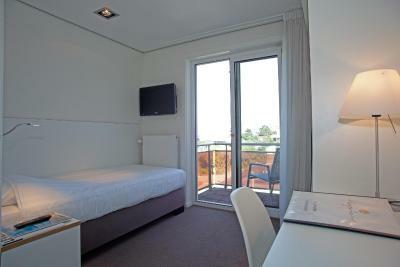 Lock in a great price for Hotel Hogerhuys - adults only – rated 8.6 by recent guests! Good service, we had an extra wish for breakfast and they made it possible, vreat vjew, big balcony, breakfast is good and rich. The staff was extraordinary. The hotel was lovely and the restaurant was fabulous. We had an amazing dinner there and the breakfast which was included was lovely. There were lots of choices and the food was artfully displayed. The location was also perfect for our purposes. It is only 15 minutes from Keukenhof Gardens and a beautiful spot for day trips and we could easily walk into town and to the beaches. Stayed a few times - clean, comfortable and very friendly staff. Very good breakfast. Location was great. Parking is a couple min walk in a secure parking garage. Breakfast was excellent. Close to sites in the country. Perfect! The atmosphere of the bar/restaurant was very nice, but the restaurant was closed during our stay, which we did not appreciate. Breakfast was very good. Hogerhuys is fabulous, and probably on top of the only hill in Holland - but not one so steep as to be a problem. The decor is totally cool, the staff all very friendly and helpful and all the meals just delicious. It didn't feel like staying in a hotel, more like a really wonderful friend's house. Loved it all!!! 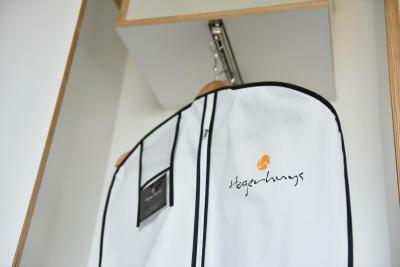 Hotel Hogerhuys - adults only This rating is a reflection of how the property compares to the industry standard when it comes to price, facilities and services available. It's based on a self-evaluation by the property. Use this rating to help choose your stay! One of our top picks in Noordwijk aan Zee.The Hogerhuys looks out over the seaside resort of Noordwijk aan Zee and is a 5-minute walk from the boulevard and beach. There is a fine dining a-la-carte restaurant and modern design accommodations with private balconies. 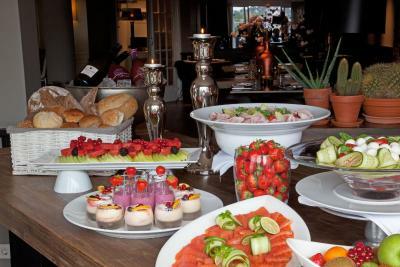 A breakfast buffet is served at the hotel’s restaurant every morning. 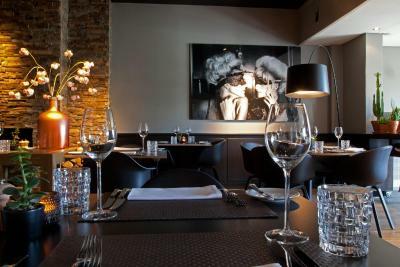 For dinner, a table can be reserved in the Hotel's restaurant EMMA. 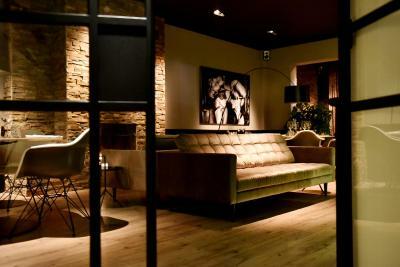 There is also a tastefully decorated lounge with open fireplace and a bar. From Hogerhuys, it’s 4.1 mi to the prestigious golf course of Noordwijkse Golf Club. The Noordwijk beach boulevard is 2,150 feet away. 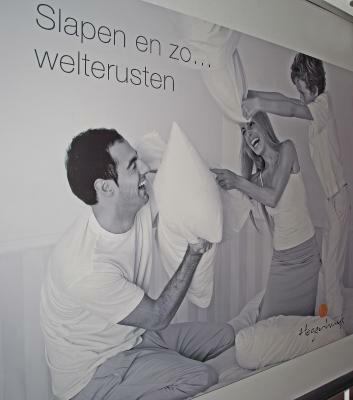 When would you like to stay at Hotel Hogerhuys - adults only? A modern room which features a balcony. It also has a desk, mini-bar and flat-screen cable TV. The bathroom comes with bath/shower combination and a toilet. A hairdryer and free toiletries are also provided. Please note no extra beds can be placed. The maximum occupancy for this room is 1 person. 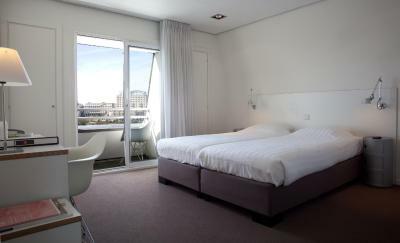 Each of these rooms has a 5star boxspring bedding, balcony, flat-screen cable TV and a mini-bar. 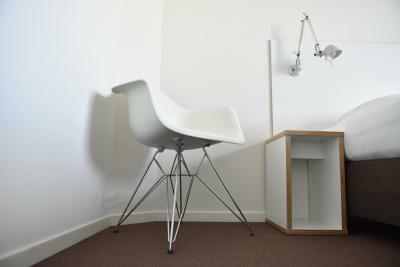 There is also a desk and a bathroom with a bath and/or shower, toilet, hairdryer and free toiletries. Please note no extra beds can be placed. The maximum occupancy for this room are 2 people. 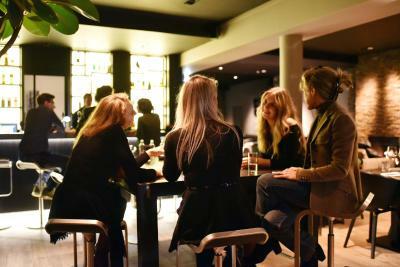 House Rules Hotel Hogerhuys - adults only takes special requests – add in the next step! ATM card Hotel Hogerhuys - adults only accepts these cards and reserves the right to temporarily hold an amount prior to arrival. Hotel Hogerhuys - adults only accepts these cards and reserves the right to temporarily hold an amount prior to arrival. Please note that guests can make use of the parking garage opposite from the accommodations, at a 1-minute walk, at a surcharge of EUR 7.50 per night. 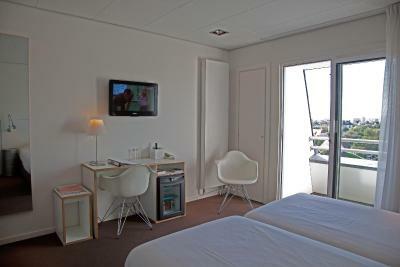 For non-Booking.com guests, the surcharge for these facilities is EUR 12.50 per night. Please note that this is an adult only hotel where no extra beds or cots can be placed in the rooms. Duvet was a bit hot for me, could have been a lower tog - though I didn't ask to change it and they probably could have done if I'd asked. The room wasn't very big. The room was noisy. You can hear the other guests. A highly recommended this hotel! We would not have changed anything. Extreme Noisy room due to lift, and neigbour bathroom. Due to lack of soundproof wall. Unexpected Wake- up will occur. We had the room near the lift and not in the general room area, quite noisy... There is a pipe in the room and almost impossible to sleep without ear plugs. The staff was quite friendly and overall facility was good. Parking was in a nearby area but convenient. Breakfast was fabulous. Very comfortable and clean hotel with excellent staff. Excellent facilities, convenient breakfast, professional staff. The bathroom was somewhat older, but still very clean. 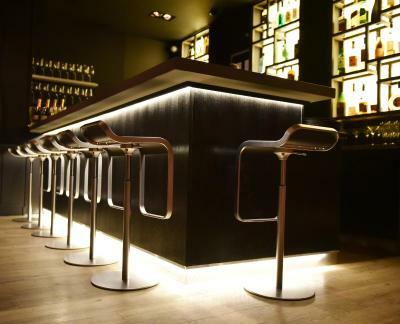 Only one person from the staff was not very accommodating - could not think of a solution for the cold room and was not eager on finding a table in the restaurant even at a later time. At the end this was compensated by the friendliness of the other staff so he could be ignored. I would still go back to the hotel. One of the best breakfast buffets ever, including fresh vegetables and fruits. Very comfortable beds for great sleep. The dinner in the hotel was excellent. The high price is justified. My room was cold the first night and staff provided a small heater which saved the situation until the central heating could be turned on. The service at the reception is impeccable. The rooms were too small. The staff at the breakfast area were not nice. The price was way too high for the quality of stay.